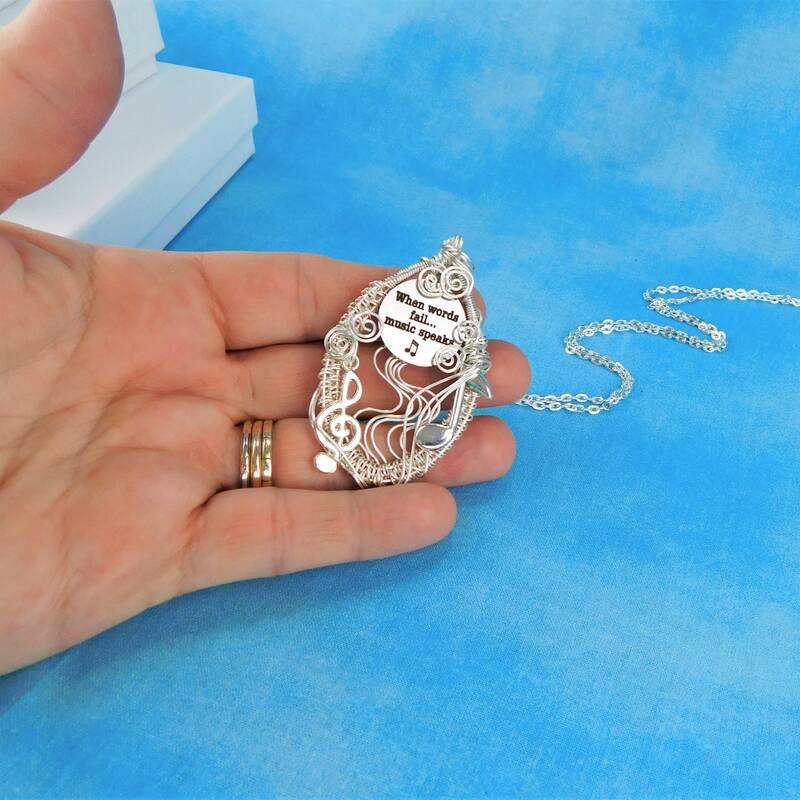 Let this artistic pendant speak for you. 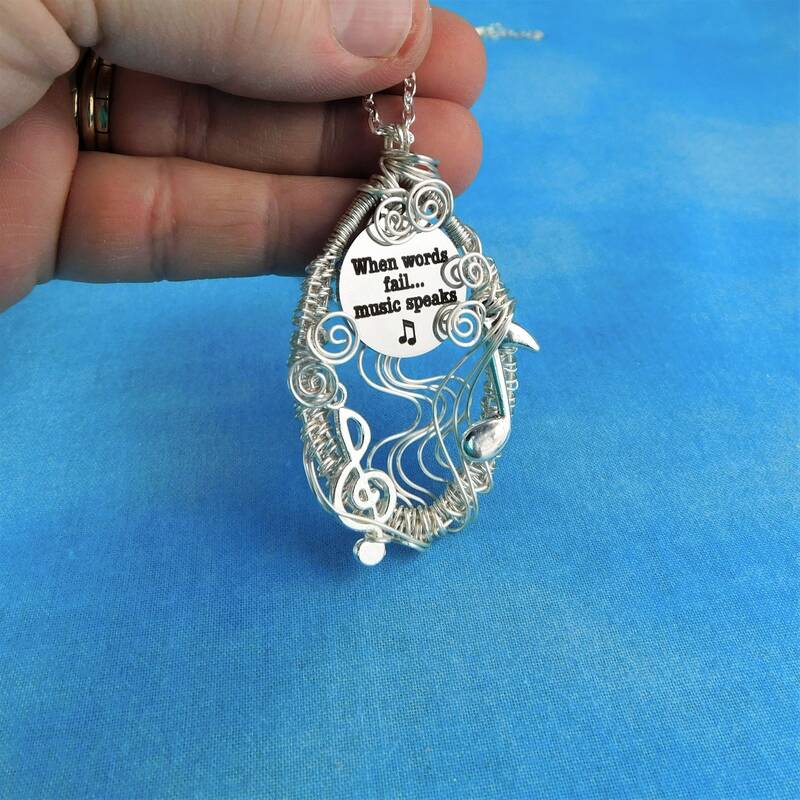 "When words fail... music speaks" is the message. 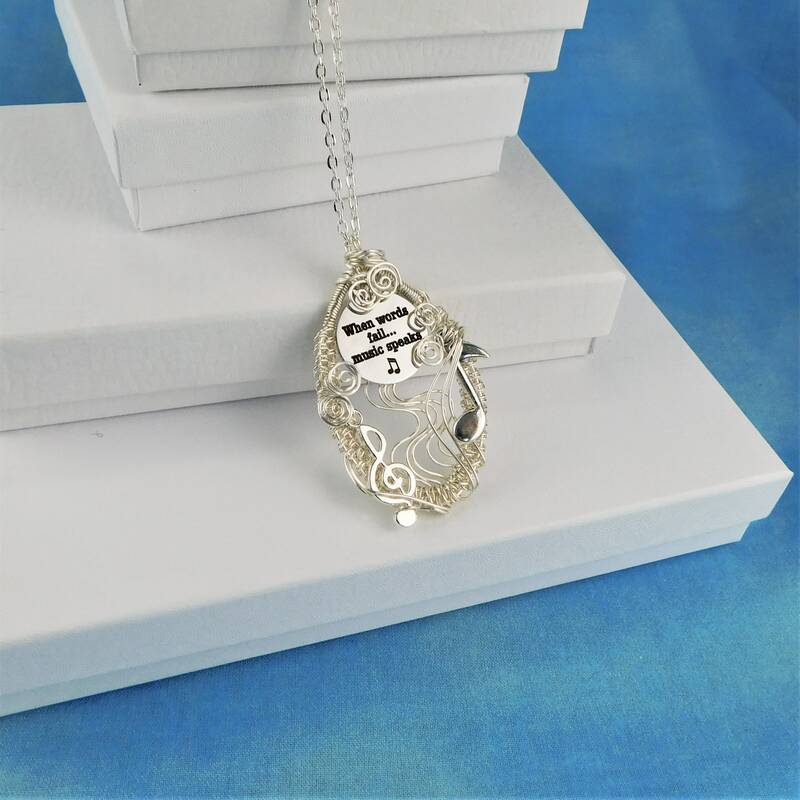 A treble clef and a music note are swept up in the artistically woven wire that represents a visual of how music sounds. 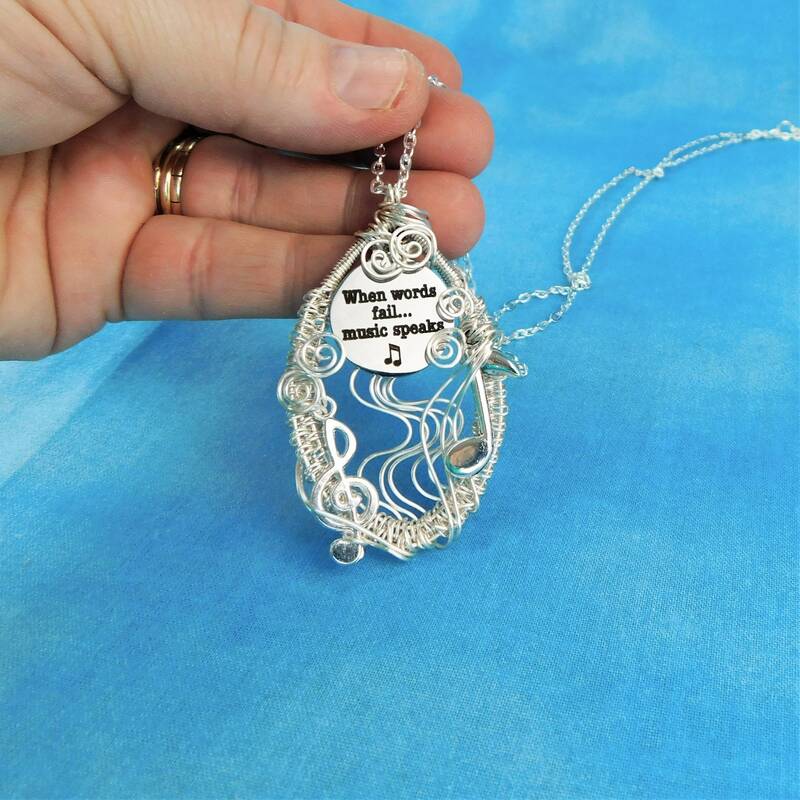 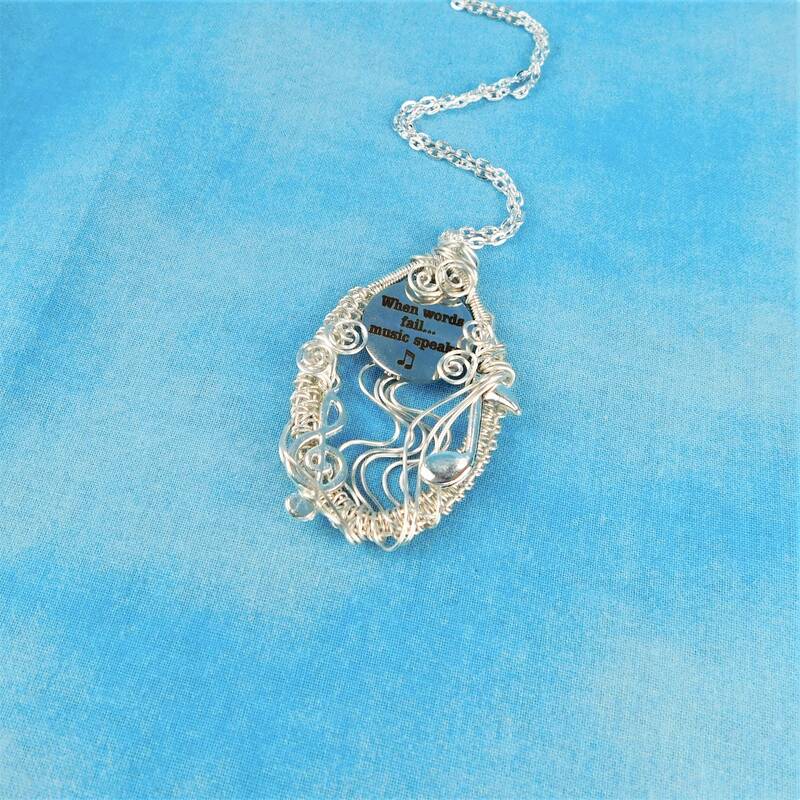 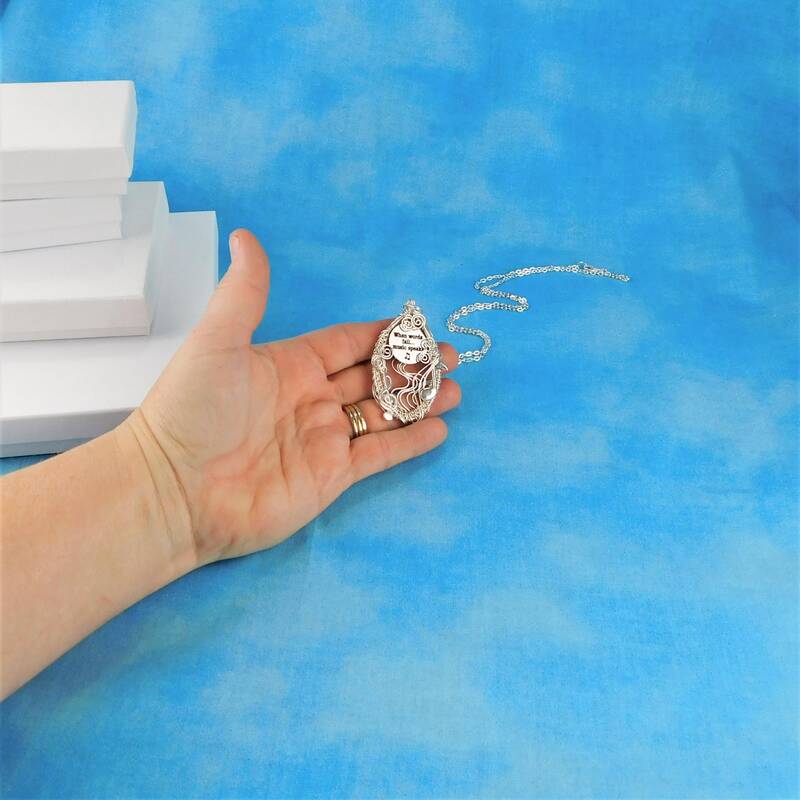 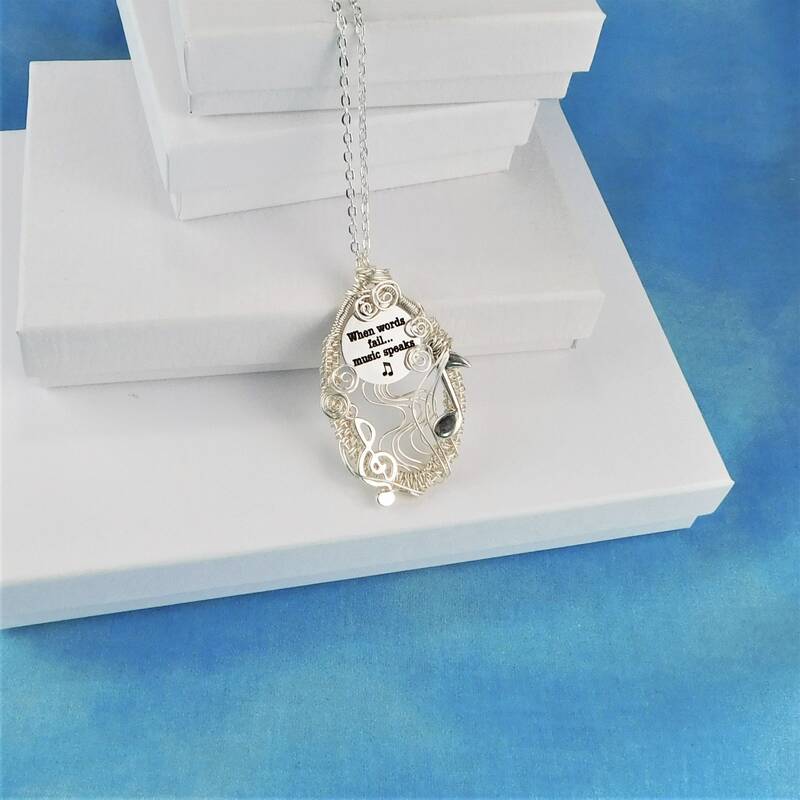 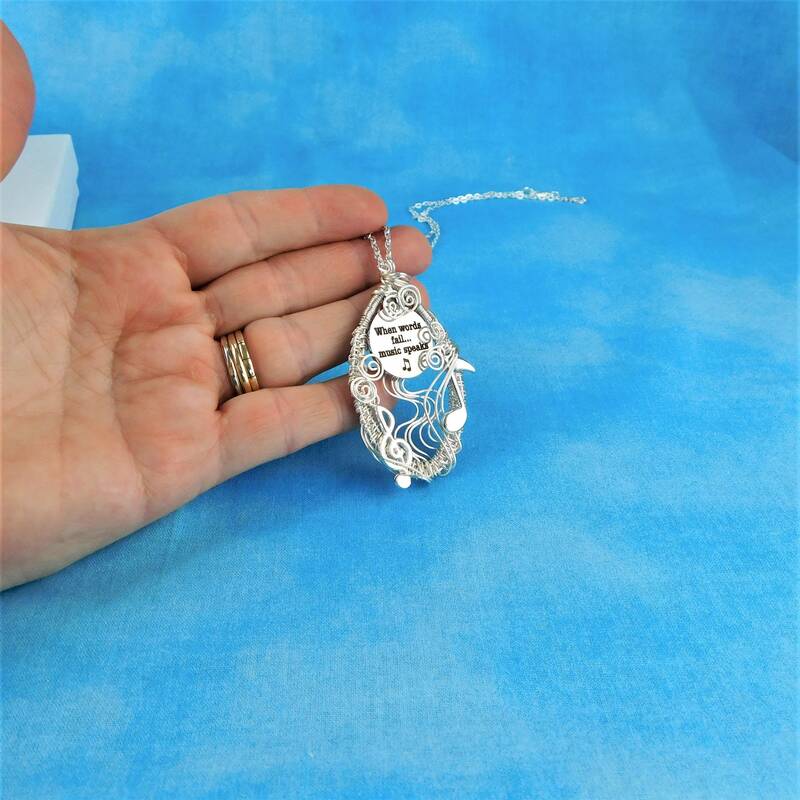 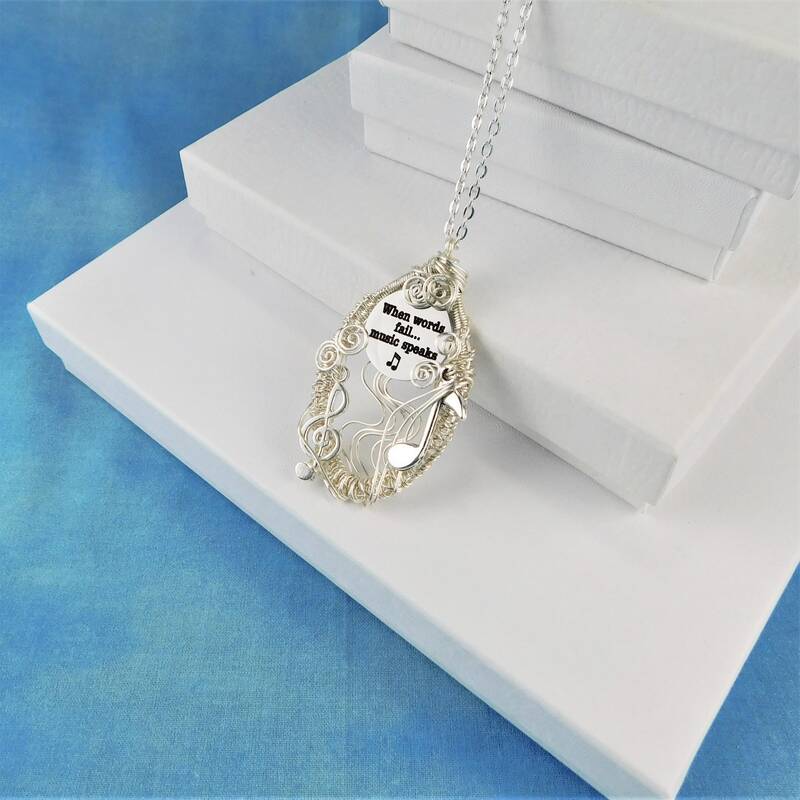 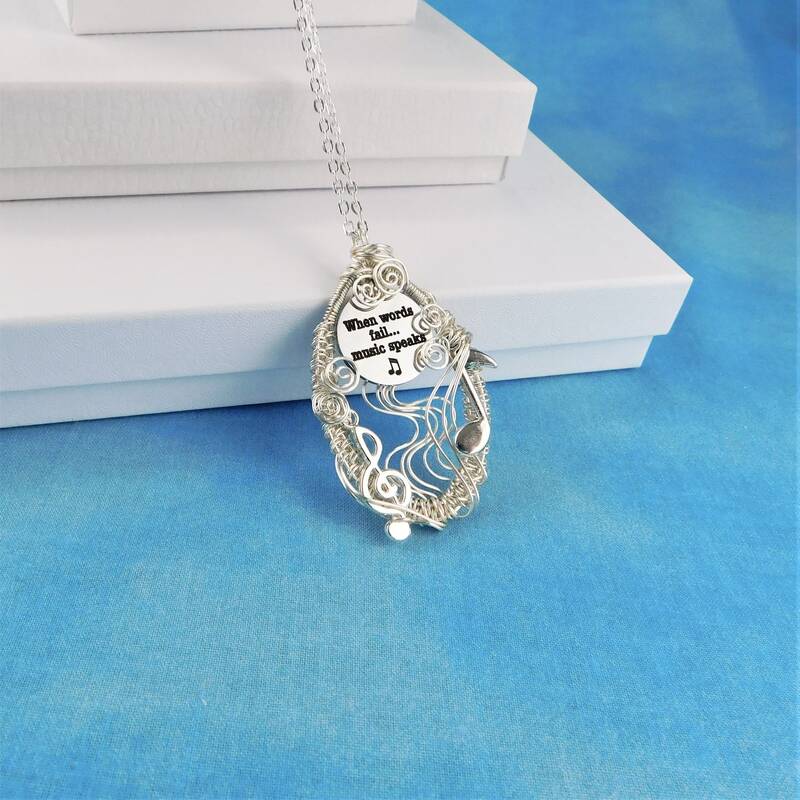 The pendant measures 2 inches by 1 1/4 inches and comes with a FREE coordinating chain, measured to your preferred length.